"That turtle was very likely born and hatched on that stretch of beach." People working at an airport were surprised to find a large sea turtle lying in the middle of a newly constructed runway last week. Behind her trailed a few white objects — eggs, just sitting there on the tarmac. This is likely not the first time she's tried to lay her eggs here — and it's probably not the last. The Maafaru Airport airstrip lies on what used to be an active nesting beach for these endangered turtles in the Maldives. "Most of the species [of sea turtles] are drawn to the same area where they themselves were born and where they have nested in the past," David Godfrey, executive director of the Sea Turtle Conservancy, told The Dodo. "That turtle was very likely born and hatched on that stretch of beach ... They don’t just drop their eggs. 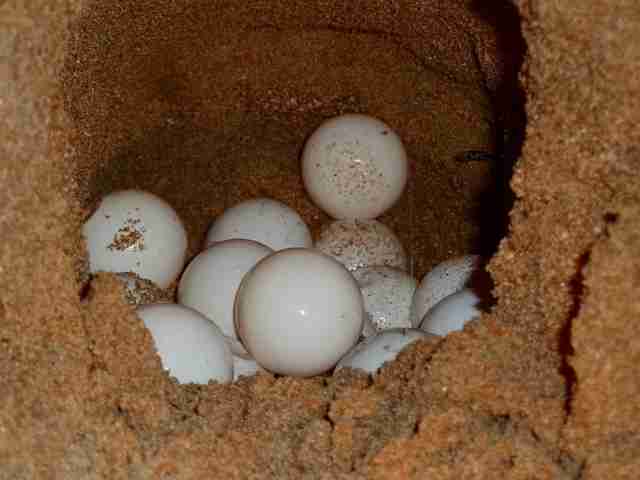 For the turtle to be dropping her eggs tells me it’s not the first time she came to this shore." The single image of the endangered turtle on the tarmac with her eggs — shared on Twitter — has garnered a lot of attention. But what it shows is something that all too often goes unseen — something that's happening all the time. Shorelines all around the world are being developed to the point of being uninhabitable by species who rely on them. With the warming oceans, waters are rising and shorelines are getting thinner and thinner, which means sea turtle nesting sites are being squeezed into smaller areas. This is why sea turtles need people to speak up for them. "Sea turtles need voices," Godfrey said. "Voices from voters, from citizens — they rely on us." The turtle found on the airstrip was reportedly in good health and so was led back to the water. But she will be back, Godfrey said: "Her and her friends." You can be a voice for these magnificent creatures by telling your representatives that you want habitats protected. 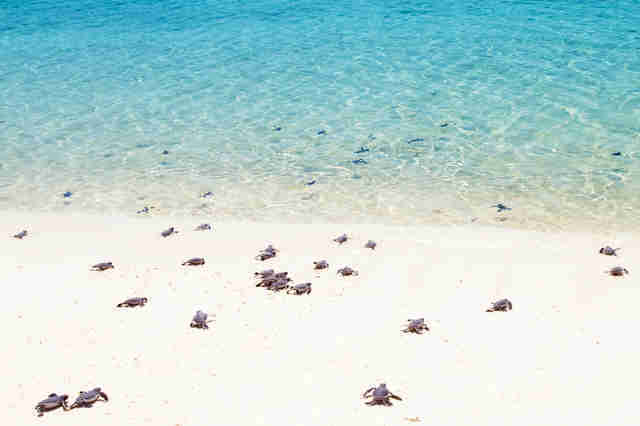 You can also make a donation to the Sea Turtle Conservancy.